Klahhane Ridge. Photo: Chelsea Westerlund. It will be one year this October since moving to Seattle. Growing up as a Native Floridian, mountains were mostly foreign to me. I was used to sandy, warm beaches, palm trees, flat terrain and reptiles—those cute, little gators. I had seen mountains before, having been to the northwest and traveling to the northeast for family vacations, but the awe didn’t really set in until I began hiking in them. After my first hike upon moving out here, I was hooked. Being at elevation and immersed in the rocky terrain, you feel small yet powerful at the same time. That was a spiritual experience for me. I was at peace and humbled by the might and sheer magnitude of the alpine landscape. Washington has the secret recipe—although it is not so secret anymore. Other transplants (like me) are catching on to why this state is so magical. Now that I live here, I’ve toyed with the idea of keeping my enthusiasm for this place a secret. I have realized however, that if others can experience natural beauty like this, only good can come from that; including a new found respect and awareness like I’ve developed. 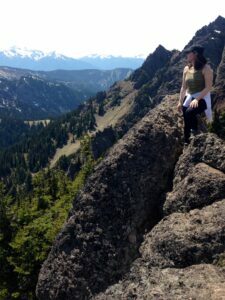 Quick nature geek out–Washington has water, forests and mountains! To break it down even further, WA is home to a rainforest, five volcanos and a major fjord. Seriously?! There is a lifetime of exploration one can do in this state alone. 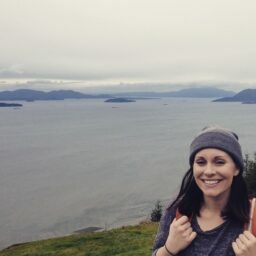 I can ramble on for days about Washington’s natural beauty, but instead let me share some of my favorite day hikes I have been able to experience so far. 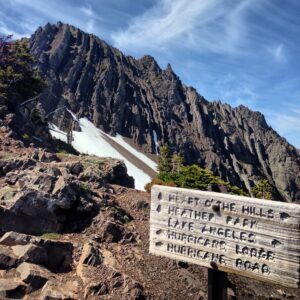 Klahhane Ridge– Located in Olympic National Park on the Olympic Peninsula, you can pick up the trail from Hurricane Ridge for a longer hike, about 7 miles roundtrip. Driving up to Hurricane Ridge alone is breathtaking with sweeping views of the Olympics. I was spoiled because the first time I did this hike, there was a plethora of active wildlife that day. Dozens of black-tailed deer, handfuls of marmot, a mama black bear and her two cubs, chipmunks and a lone mountain goat which, by the way, are the coolest animals. I wish I could scale peaks like a mountain goat! 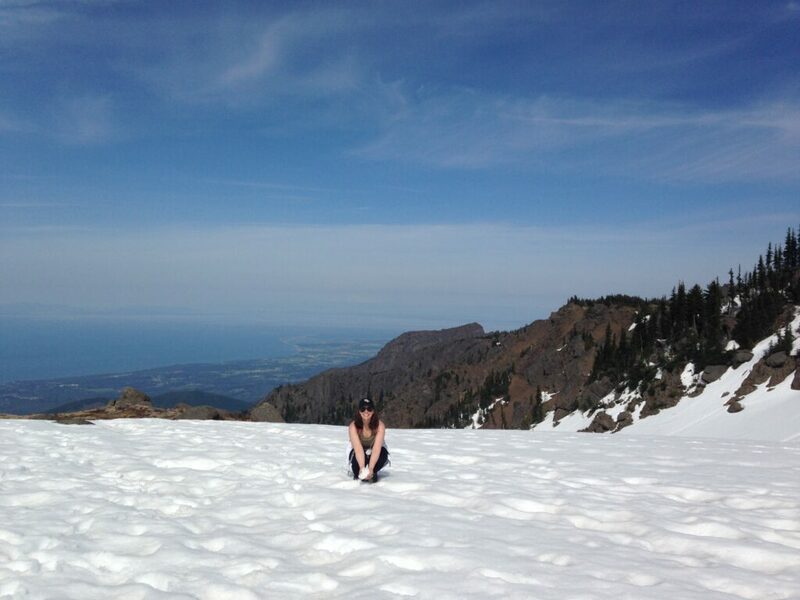 Mailbox Peak– Buns. Of. Steel. If you did this hike every day, you would be a marble statue. There is an old and new trail; my friend and I did the old. The new trail is around 9 miles roundtrip and less steep. The old trail is around 5 miles roundtrip so you’re doing a 4,000 ft. elevation gain in 2.5 miles. One of the volunteer rangers we ran into when we were there said Mountaineers training for Rainier will hike the old trail with heavy packs on to see if they are prepared to summit. Simply put, it feels INCREDIBLE when you make it to the top. 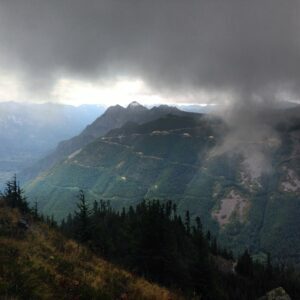 Right and left: Mailbox Peak. Photos: Chelsea Westerlund. 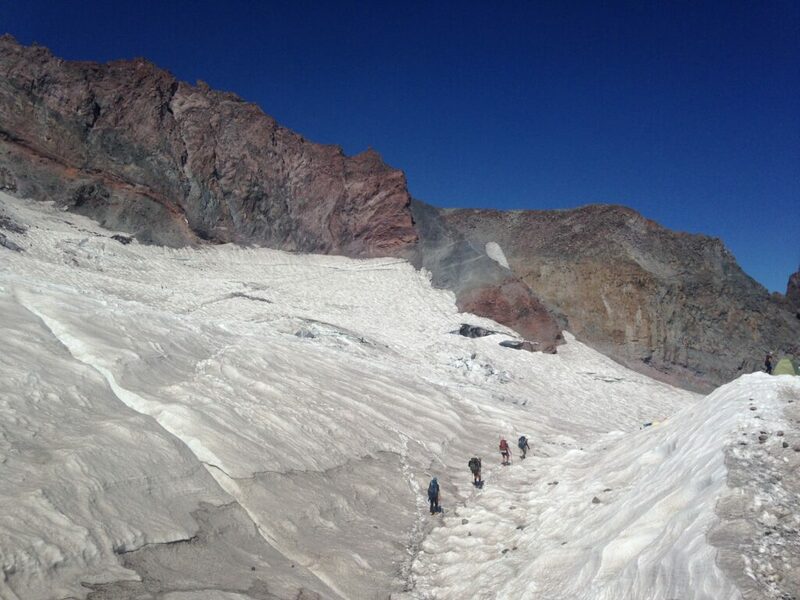 Camp Muir – Hiking to Camp Muir on Mt. Rainier was a blast! It is a physical and mental combo. You are exposed to the elements and should definitely be prepared since the weather does change quickly at elevation. 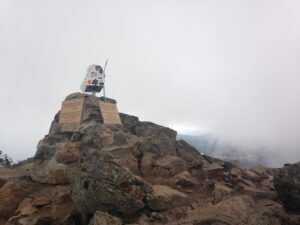 The climb up to Muir is about 8 miles roundtrip and you end at over 10,000 ft. in elevation. The sensory experience was unreal. From the sounds of rock fall and stepping over crevasses in the snowfield to feeling the difference in my breathing because of the thinner air; it gave me a little insight into what real mountaineering might be like. My favorite part of the entire day was chatting it up with the extraordinary people at Camp Muir that were roping up to continue on in attempt to summit. That and glissading on the way back down! 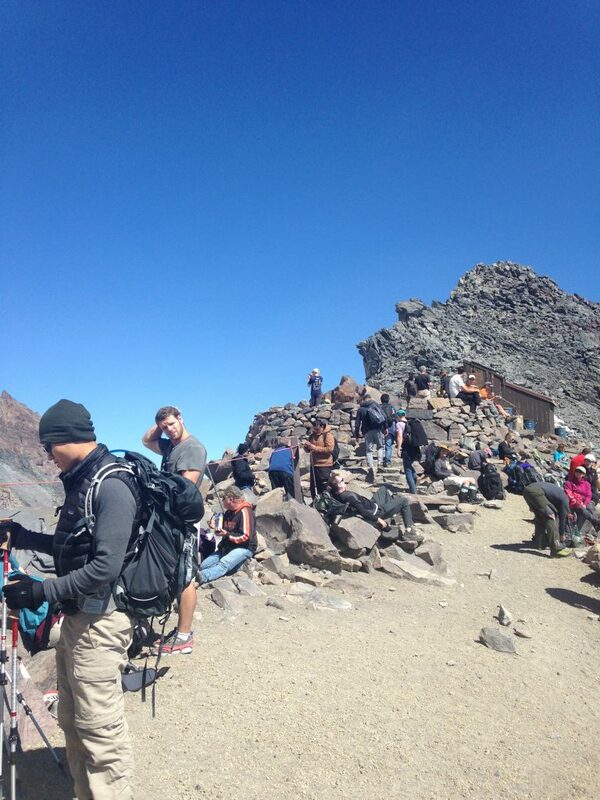 View of mountaineers beginning their summit attempt of Mt. Rainier, from Camp Muir. Photo: Chelsea Westerlund. Climbers preparing for the next leg of their Mt. Rainier ascent. Photo: Chelsea Westerlund. I definitely miss the warm ocean and Florida wildlife, but it’s been an incredible experience to see and learn about something very different than that. Washington’s vibrant outdoor culture continuously inspires me and the next trip I plan on doing is to Mount Adams. John Muir said it, “The Mountains are calling and I must go.” Wherever you are, enjoy the outdoors and relish in what is unique to your area. Happy trails! Note: We used Hefty Ultra Flex trash bags for glissading and they worked like a charm! Playing in the “white stuff” atop Klahhane Ridge. Photo: Chelsea Westerlund.